Visit Philadelphia for the Philly Auto Show | Geno’s Steaks | Philadelphia, Pa. The Pennsylvania Convention Center is revved up and ready for the return of the Philadelphia Auto Show. If you’re visiting Philadelphia and looking for a new vehicle or great entertainment, this show has something for you. Black Tie Tailgate (Friday, January 27) –before the show opens, be among the first to see over 650 vehicles! With entertainment and an exquisite dining experience, this is a black-tie affair you won’t want to miss. Ride & Drive Events (daily, January 28 to February 5) – test drive new makes and models, including Nissan, Kia, Toyota, Mazda, & BMW. Check out the online schedule to see when you can try out your favorite models. Sixers Dancers (Saturday, January 28) –trust the process with photos and autographs from the Philadelphia 76ers dancers. Mo’ne Davis Meet & Greet (Sunday, January 29) – everyone’s favorite little league pitcher is coming to spin the wheel and throw some prizes your way. Live from Auto Show with Mikey Miss! (Wednesday, February 1) – join 97.5 The Fanatic and one of Philadelphia’s most famous sports radio hosts, Mike Missanelli, for a live broadcast on the Main Floor. Audra McLaughlin Performance (Friday, February 3) – join The Voice finalist, Audra McLaughlin, for a can’t-miss live performance! Eddie Alvarez Appearance (Saturday, February 4) – Eddie Alvarez will be stopping by the Honda exhibit. Meet the hometown hero and former UFC Lightweight Champion. This list is far from everything to expect; Whether you live here or you’re thinking about visiting Philadelphia, the Auto Show is a great place to check out! 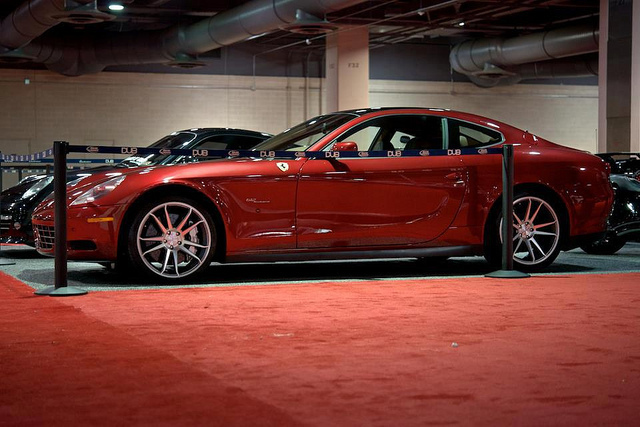 There’s a reason (or two) for everyone to head down Broad Street and see what the Philly Auto Show has to offer! Following all the test drives, live performances, and celebrity-meetings, you’re sure to have worked up a Philly cheesesteak-sized appetite. Head over to Geno’s for your favorite sandwich!